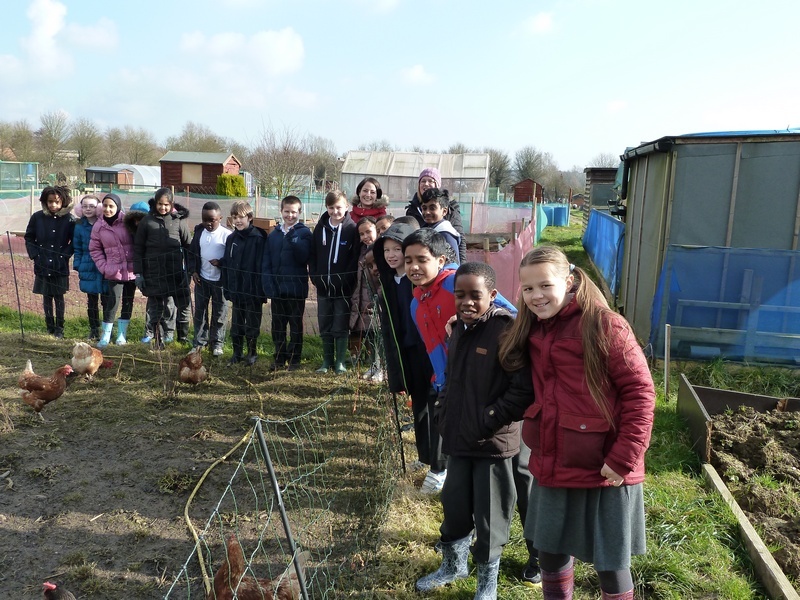 Two groups of year 5 students from the Falconhurst School in Eaglestone enjoyed a field trip to the Patch Allotments on Thursday the 25th February. The visit was hosted by the Chair and the Secretary of the Patch Allotments Association (PAA), Les Burgess and John Such. The visit started with a “class room” session in the PAA hut where Les explained some of the history of allotments in his usual jocular fashion. He then got the children to design a layout for an allotment and identify what they would like to grow in it. The children then got a chance to walk around the allotments and, of course, to head for the chicken run. 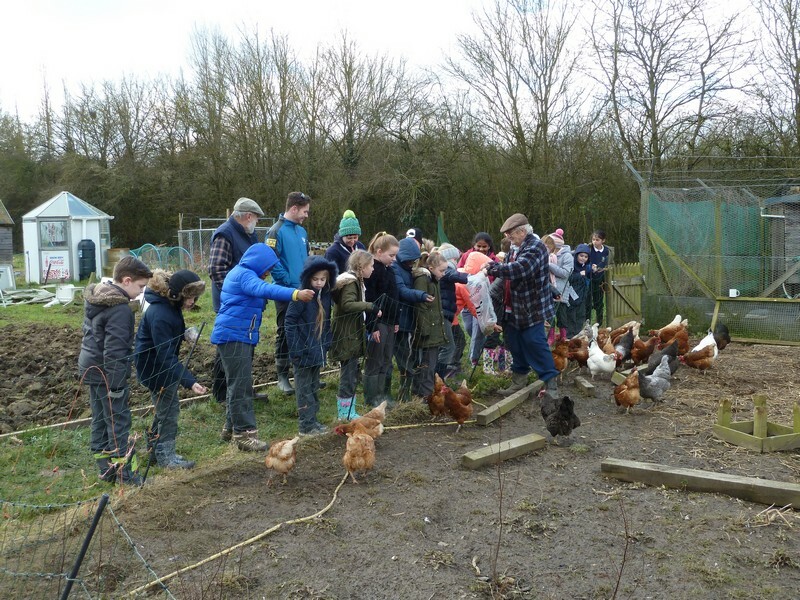 Here they had an opportunity to meet the chickens first hand and to feed them. At the same time Les was able to field the avalanche of questions about them from the children. 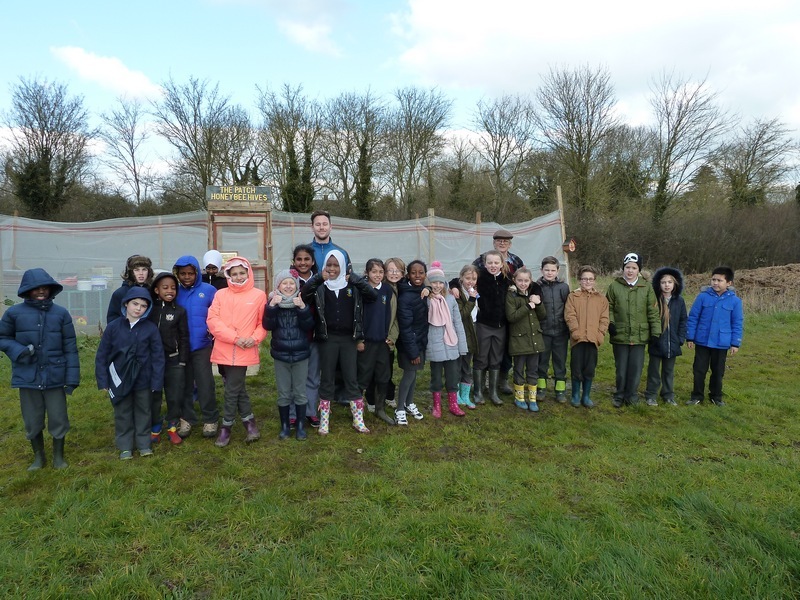 The visit was concluded by a visit to the bee enclosure for more questions and answers about the bee’s life cycle and what is required to maintain a healthy bee population. Fortunately the weather was fine, but still much too cold for any bees to want to venture out. 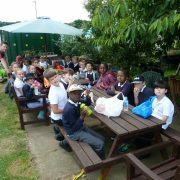 A follow up visit in June is under discussion so that the children will be able to see the allotments in full bloom and in warmer weather.